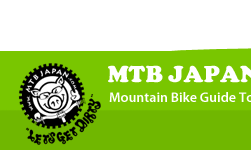 We hope you had an awesome tour with us here at MTB JAPAN ! If you had a great time please spare 1min to tell everyone about it. Your recommendations keep us awesome!If you could write quick reviews on your favorite sites we truly are indebted. Please help us spread the good word ! !We hope to see you again real soon for more trail blazing adventures ! Click on your tour date/ time from the photo calendar below. Click the blue highlighted link beside "description". Enjoy your photos! Keep us great- write a review! !